For the avid RVer, this Roadtrek CS Adventurous class B diesel coach turns every road trip into an adventure to remember! 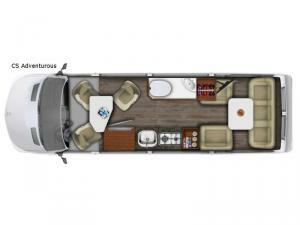 You will find all of the comforts of home packed into this ultimate small motorhome that has been built on a Mercedes-Benz Sprinter chassis which features ample room inside, yet has a certain ease about it when it comes to driving and parking. Large frameless windows bring the outdoors in along with tons of natural lighting, and the expanded galley with large 7.0 cu. ft. refrigerator, convection microwave oven, and two-burner propane stove is perfect for all of your cooking needs. 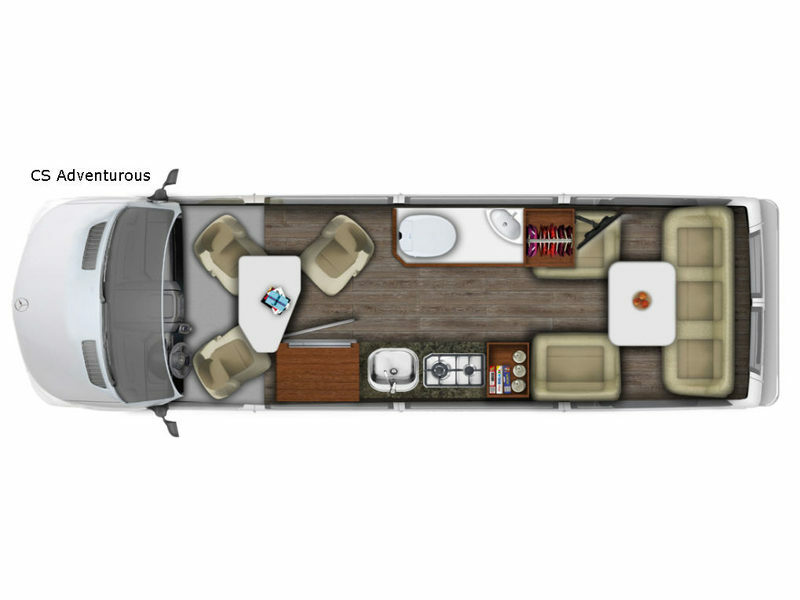 It is roomy enough to sleep up to three and seat up to six. You will also appreciate the enhanced safety features on-board that monitor your blind spot, provide lane assist, collision prevention, and the rear camera and navigation system provides additional travel advantages as well. For your adventurous spirit, choose this CS Adventurous Roadtrek and explore like never before! Any Roadtrek class B provides you with versatility, comfort, and function all rolled into one great home on wheels. These units are built on either a Mercedes, Chevrolet, or Ram ProMaster chassis ranging in style and size to suit any RV lifestyle. You can easily take a quick trip across town, or head out on a week-long get-a-way to explore new places. You will find comfortable sleeping for 2-4 individuals with the capacity for 3-7 seated travelers depending on your choice. You will appreciate the galley amenities in each unit along with abundant storage for your things. For your next road trip, choose any Roadtrek class B motorhome and start living your dreams!